The photographer is obviously using slow film, as the photograph is quite blurred. He’s either aboard a moving train, or paused while crossing Welland Avenue to shoot this photo. The picture shows the freight house on the right, on the far side of Niagara Street. A freight shed extends behind the brick structure. To the left of the tracks, a tower controls the interlocking here. 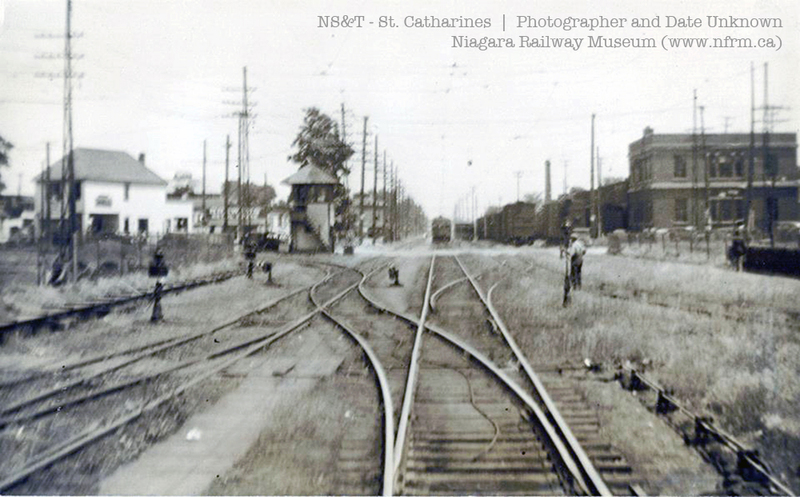 This interlocking includes the yard throat in the foreground that leads to the passenger terminal (behind the photographer), the line curving away at right that enters Welland Avenue and heads towards the car barn, and the city line that curves away to the left, onto Niagara Street. I’ll get to the story of the photograph in a moment – but I want to focus on the freight house itself: the brick building in the background. 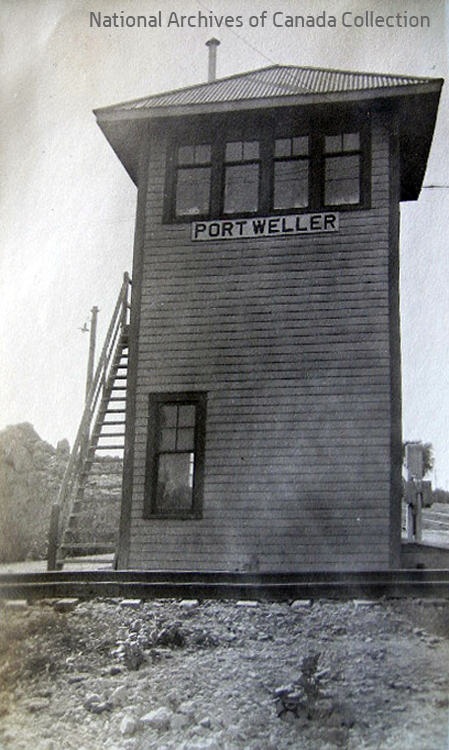 To the right of the building, one can see some boxcars standing in front of the freight shed that extends from the back of the brick structure. And of course, there’s that overhead crane – which is part of the team yard adjacent to the freight house. The freight house faces Niagara Street, and the NS&T mainline passes on the far side of it. Where the NS&T crosses Niagara Street, one can see the striped crossing gates. To the left of the street, one can spot the interlocking tower that controlled this area on the railway. Early versions of fasteners were developed and patented in the United States, most notably in 1851 by Elias Howe and in 1893/1905 by Whitcomb L. Judson. However, it was the Swedish-American Gideon Sundback (photo upper right, facing left), who is credited as the “Inventor of the Zipper.” He not only designed the first successful slide fastener (later referred to as the modern zipper), with a system of interlocking teeth and scoops, but also developed a machine in 1913, later improved upon, for mass-producing his invention. 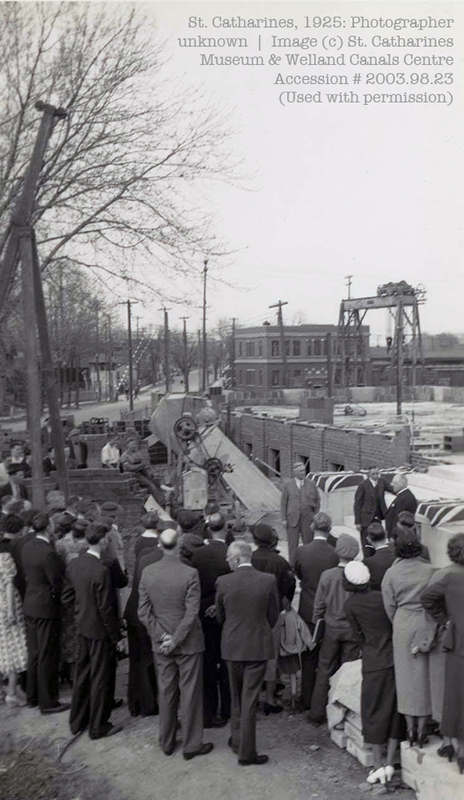 Seen here is the cornerstone laying ceremony for Sundback’s new Lightning Fastener building in St. Catharines, 1925. As promised, here’s a map of the area. The green arrow points to the freight house / shed. As the photographs and map show, there are spurs on both sides of the structure. I’m excited by these two photographs because they confirm what I remember of the freight house, from seeing it as a young railfan back in the 1980s. 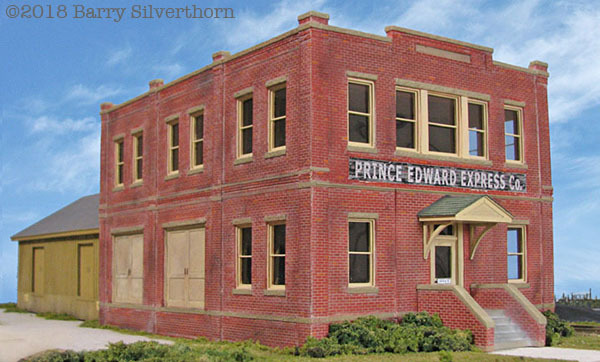 I’m equally excited that there’s a decent stand-in model available for this freight house in S scale – thanks to my friend Barry Silverthorn, no less. No, it’s not an exact model. But yes, it’s darned close. And I happen to have one, plus a couple of extra freight shed extensions that I can use to lengthen the structure. The Niagara St. yards are looking like a better modelling subject all the time! 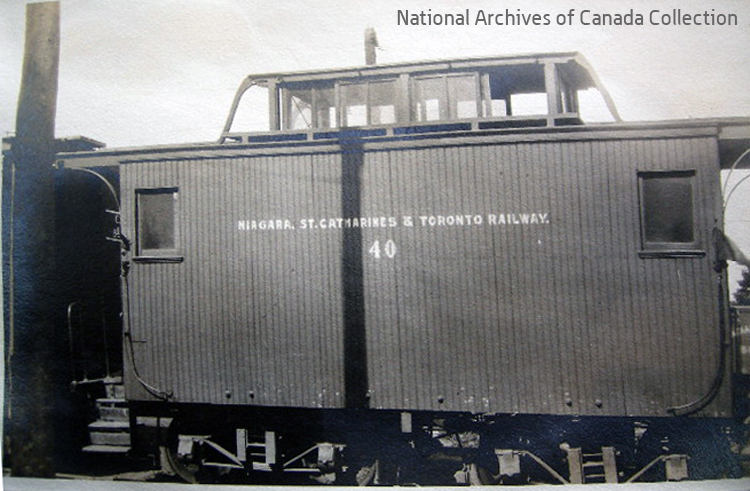 I’m looking for photos of two key structures on the Niagara St. Catharines and Toronto Railway in St. Catharines. I believe this building was later part of a lumber yard in this location, but I can’t remember. If you have more info, I’d love to hear from you. On the off chance that you stumble across this blog and you have photo of one or both of these buildings – in any era – please let me know via the comments. Thanks in advance! 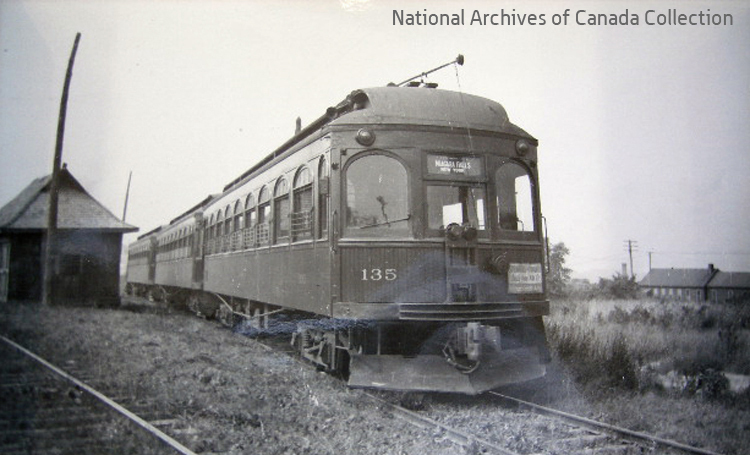 Looking for more photos of the Niagara St. Catharines & Toronto Railway? The Old Time Trains website has an extensive gallery online. For those unfamiliar with the railway, this map (from a brochure) will provide some context for posts elsewhere on this site. The photograph below is a pretty exciting one for me. 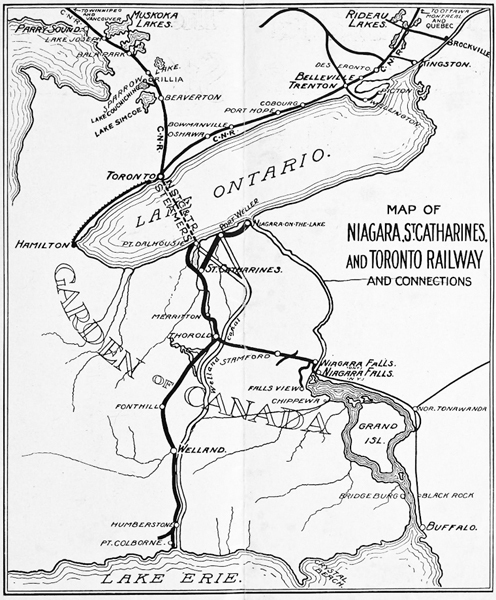 It changes how I’m thinking about my potential model railway, based on the Niagara St. Catharines & Toronto Railway. 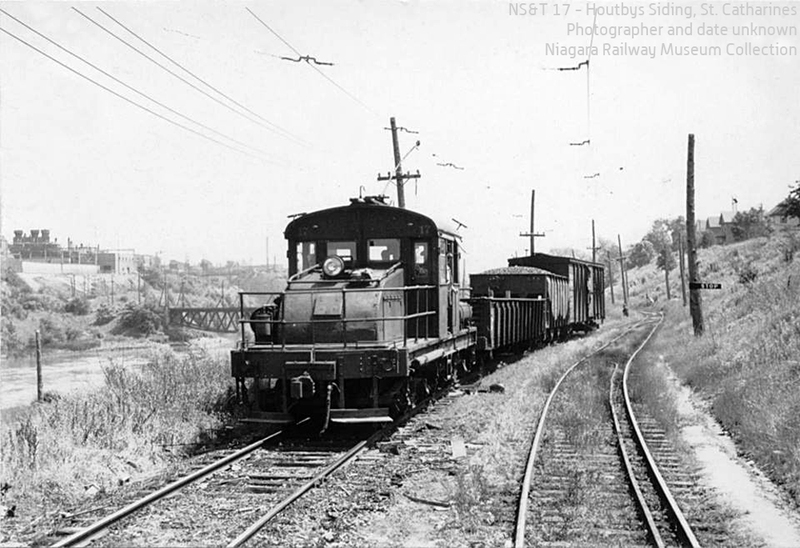 NS&T 17 at Houtby’s Siding. Photographer and date unknown. 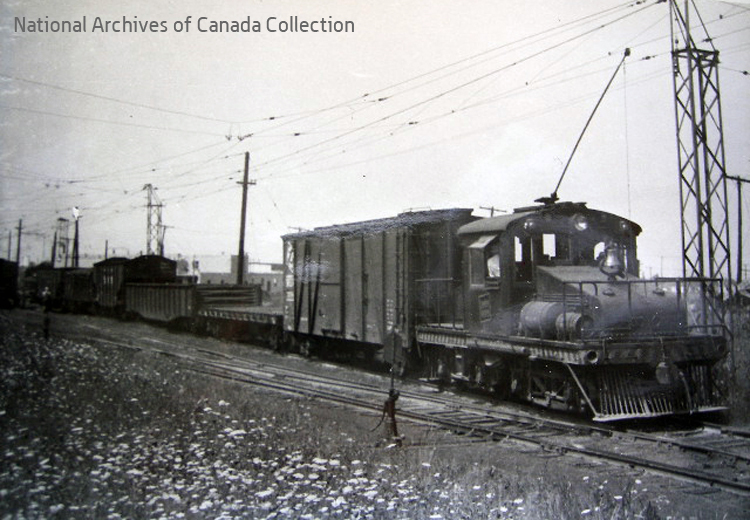 This photo is courtesy of the Niagara Railway Museum, which recently acquired a large collection of photographs. I’m grateful to Aaron White for giving me permission to share it here. Number 17 and its short freight are in the hole at Houtby’s – at Milepost 2.33 on the Port Dalhousie line. It’s facing north, but it’s likely waiting to back south along the west side of 12 Mile Creek to serve customer(s) at Welland Vale. To the left of the freight motor, one can see the bridge over 12 Mile Creek and – to the left of that, up the hill – the back of the McKinnon Industries complex on Ontario Street. 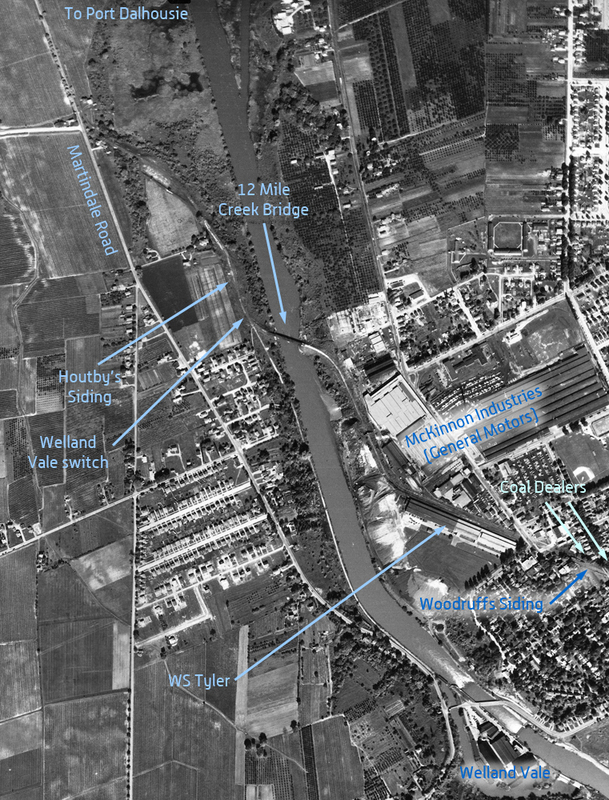 1955 aerial photo showing McKinnon Industries, Welland Vale and Houtby’s Siding, from the Brock University online collection. I’m thrilled to have seen this photo because it provides me with an example of the traffic that was hauled across the creek to the west bank. I am very keen on modelling the operations along Ontario Street, but was worried that McKinnon Industries would dominate the freight movements. This photo gave me reason to explore more of the freight workings on the Port Dalhousie division – perhaps I could add Welland Vale to a layout to boost the switching opportunities? I like that the line also includes a couple of team tracks and canneries. (I wrote about the Canadian Canners spur at MP 0.86 and the Cannery Siding at MP 0.99 in an earlier post on Port Dalhousie and Lakeside Park.) Looking at the sidings chart above – and keeping in mind that the Port Dalhousie Division was a busy passenger line until about 1950 – has given me a lot more to think about. 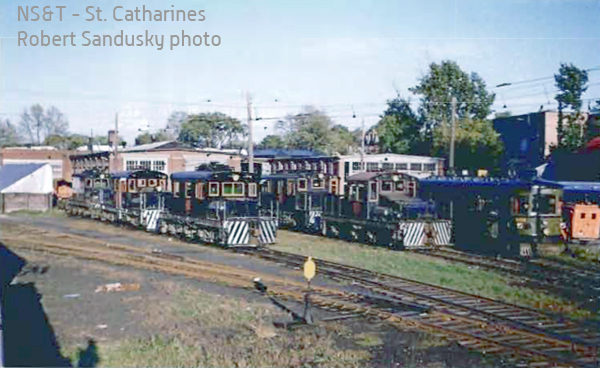 Thanks to Hugh Jordan on the Niagara St. Catharines & Toronto Railway Facebook Group for pointing out that noted Canadian railway photographer Robert Sandusky wrote a sweet capsule history of the railway for the Bytown Railway Society’s Branchline magazine back in April, 2009. The photos tend to be from an era well before what I would model. But still, it’s a valuable collection that I would love to explore. Clearly, a road trip is in order!